Haven't been to Disney World in a while? 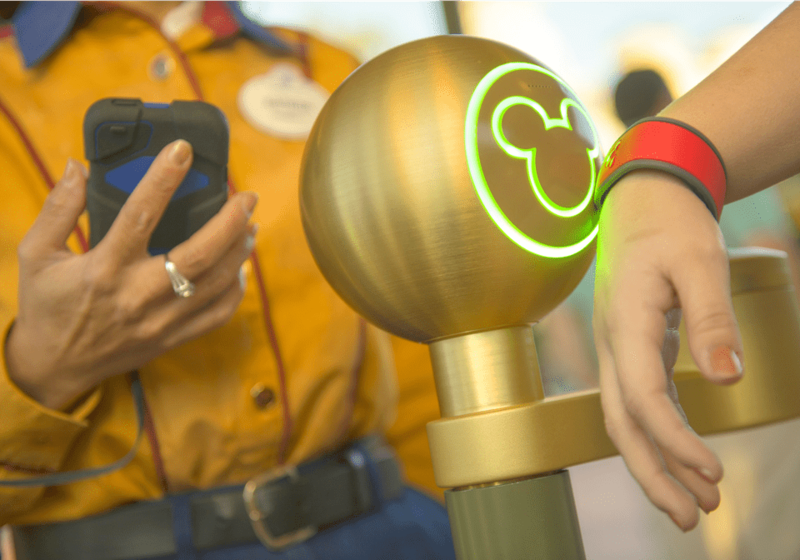 You'll want to know about an innovative planning tool called My Disney Experience, which replaced the old paper ticketing system by combining a powerful smartphone app with wearable technology. For families, the result is a truly seamless experience that starts with your pre-trip planning, letting you schedule FastPass+ and dining experiences, and continues during your stay at Disney World. Click through for a crash course in My Disney Experience. My Disney Experience revolutionizes the Disney World vacation by bundling nearly every aspect of your trip together. The process can begin as soon as you've booked your trip and have a hotel and ticket reservation. Go to MyDisneyExperience.com to set up your account and download the free My Disney Experience app (available for iPhone and Android) onto your smartphone. Once you're signed in, just enter your reservation info. Each family member can choose a color for his or her MagicBand and have it personalized with a first name. Disney will send your MagicBands to your home, and in the mean time you can start planning. What Disney World experiences are you most looking forward to? You can program them into your day with FastPass+, a reservation system that lets you to bypass the regular lines at popular rides and attractions. FastPass+ replaced the previous paper FastPass system that Disney World used for decades. If you will be staying at a Disney Resort, you can make plans 60 days in advance. If you're not staying at a Disney Resort but have bought tickets online, you can make advance plans 30 days in advance. For each day of your ticket, you can use FastPass+ to designate advance times to experience three attractions of your choice in a single park. Note that you can use FastPass+ for every Disney experience—for popular rides, character meet-and-greets, parades, shows, and fireworks. You can also use the My Disney Experience app to make advance dining reservations and even pre-order a meal in venues such as the wildly popular Be Our Guest restaurant in the Magic Kingdom. All your plans are stored on your MagicBands. In addition, once at Disney World, you can use your app to pre-order meals with Mobile Order at select restaurants in the parks. When you receive your MagicBands, keep them safe and remember to pack them for your trip. Think of your MagicBand as your key to Disney World. It's a rubber bracelet containing a computer chip that holds all the components of your Disney World vacation—theme park ticket, room key, FastPass+ choices, dining reservations, PhotoPass—and it also acts as a resort charge card. Once you arrive at Disney World, you can also create a personalized MagicBand at the MagicBand on Demand station in the Magic Kingdom. The My Disney Experience app is particularly handy for families that want to take advantage of the many perks of staying at Disney World Resort hotel. If you're staying at an official Disney World resort, you can use your MagicBands to check into your hotel and enter your hotel room. The My Disney Experience app has a feature called “My Resort Dashboard,” which gives you access to your resort reservation details all in one place, including the ability to see room number, theme, building and floor once you have your room assignment and even check in from the app. “My Resort Dashboard” even gives you directions to your resort using Disney transportation options, a map showing you the location of your room and a link to directly call the Resort Front Desk if you need further assistance during your stay. The turnstiles have disappeared at Disney World's park entrances. In their place are sleek MagicBand readers. Just touch the Mickey head on your MagicBand to the Mickey head on the reader and it turns green. It's fun for kids to watch the Mickey head light up. The My Disney Experience mobile app opens right to the park maps to help you find attractions, restaurants, restrooms and more. A section called “Spotlight” highlights new park experiences and entertainment offerings to help you find out the latest in entertainment at the parks. 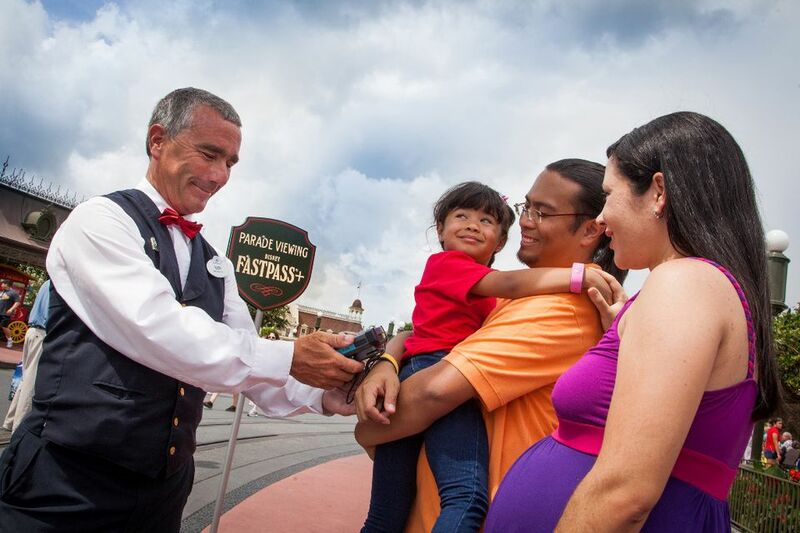 Use your MagicBand to redeem your FastPass+ experiences in front of attractions and rides. Gift shops and vendors around Disney World are also equipped with MagicBand readers. Instead of swiping a room key or a credit card, you simply place your MagicBand against the reader and type in your PIN. If your MagicBand is lost or stolen, nobody can make a purchase without your PIN. You can immediately deactivate your band using the My Disney Experience app on your smartphone until you can get another MagicBand. It's important to know that your credit card information and other personal data is not stored in your MagicBand. Instead, the readers access an encrypted database of your stored information with a randomly assigned code that securely links to your account. The My Disney Experience app can give you current wait times at attractions and character meet-and-greets in the park. Use the map view to find nearby dining venues, restrooms and other amenities. Don't worry about being locked into your plans. When you're at Disney World, you can use the app to change your FastPass+ and dining choices on the fly. After you have completed your three FastPass+ experiences, you can get three more FastPass+ choices for later that same day. You can also "park hop" in a second park with your fourth FastPass+ of the day. Can I Still Skip the Line at Space Mountain with FastPass+? What Is the Difference Between FastPass+ and My Disney Experience?